Love is in the air.... no wait, that's something else. Our February scent is Cupid Toots! 😂💘👼🏼💨it smells like a super sweet treat! Notes of pecans and maple syrup in a delicious baked good. 🕯Available in our online shop & in our Austin retail shop alllll February long. 70+ hour burn time and $16 for the candle, or $6 for the wax melts. 📦Everyone who subscribed to our Candle Club (or Wax Melt Club!) before January 26th got this scent - we hope y’all are loving it! -It. Is. So. Amazing! We all just sat around taking keep breaths in. -I just got this and I’m in love! -This is probably my favorite scent yet! Happy New Year, y’all! Our January candle is Hibernation Station - a scent perfect for lounging around the house and relaxing. It’s a cactus and pear nectar scent with notes of fresh florals and agave sugar. Fresh but not too sweet. 🕯Available at shop.theburlapbag.com & in our Austin retail shop for the entire month of January! 70+ burn time and $16. 📦Everyone who subscribed to our Candle Club before December 26th got this scent - hope y'all are loving it! 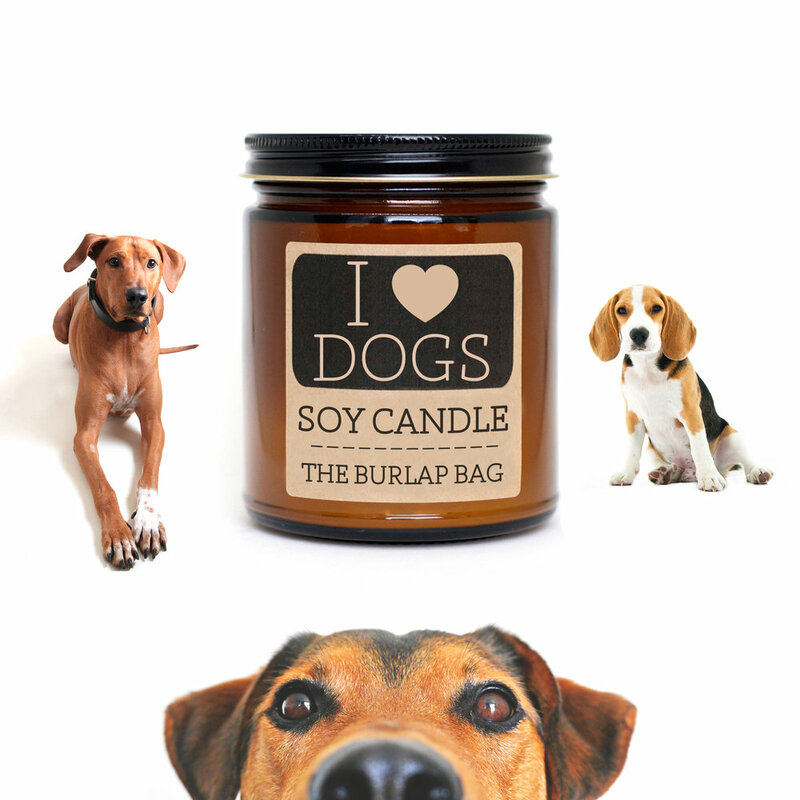 🐶Here for ONE week only: "Crazy Dog Lady" and "I Love Dogs" soy candles! 📦& FREE SHIPPING on ALL candles until 11:59pm Wednesday with code “HOHOHO”!!! 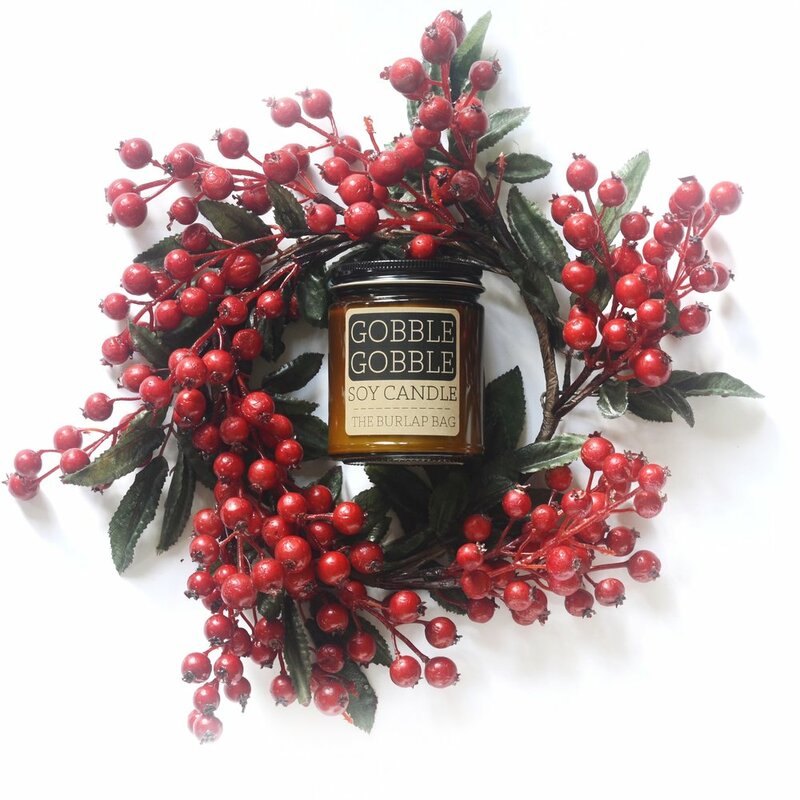 🕯Both candles are a spiced cranberry scent (our Gobble Gobble one from November - it’s so good we had to use it again!!). 🛒Available at shop.theburlapbag.com (& in our Austin retail shop starting Wednesday) until December 17th. 🕯70+ hr burn time and $16 each and come in a gift box with a pack of unicorn matches! 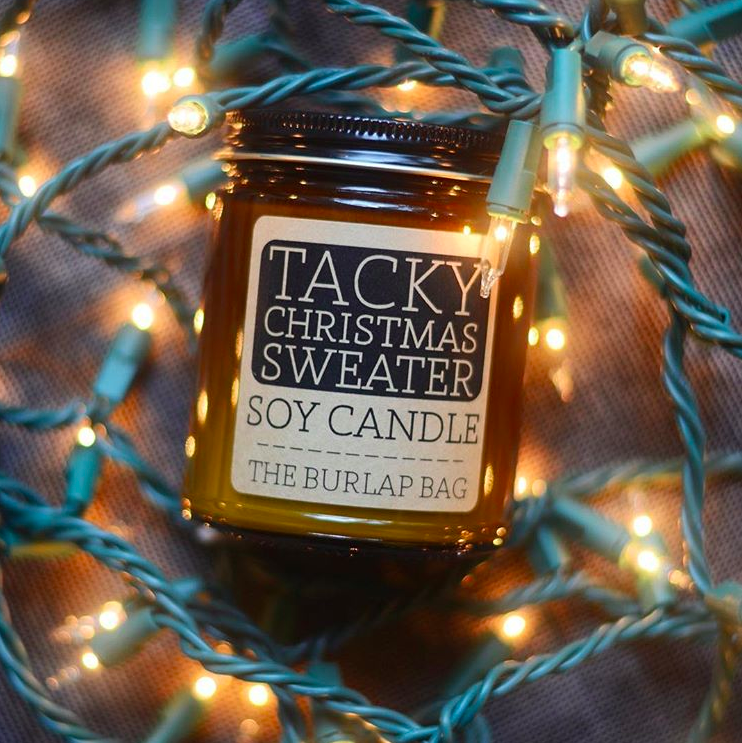 We'll be selling our candles at Christmas at the Silos at @magnolia in Waco this Friday and Saturday. There will be 40+ awesome vendors, an epic Santa for pictures, a Christmas movie in the evening, and more Christmas fun! Check out their event page for more detailed info. 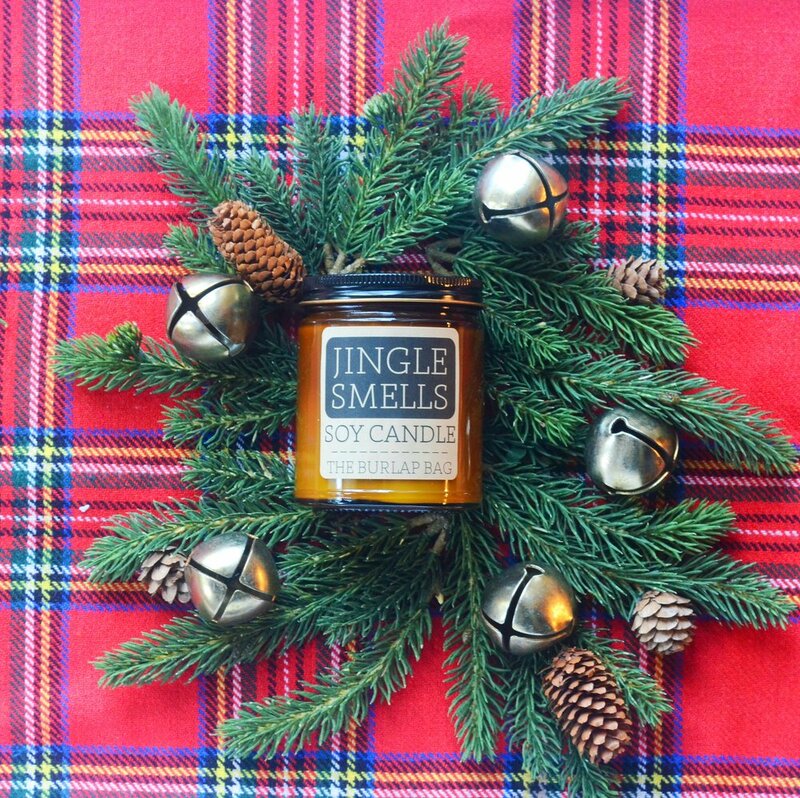 Our limited edition soy candle for December is "Jingle Smells"! This scent is a perfect Fraser Fir Christmas tree scent. So classic for the season! It'll only available until December 31st! Grab it while ya can! Vintage Santa mug candles are back for a super limited time! Saturday the 30th at 9am , candles in vintage Santa mugs will be online! (& more amazing vintage goblets!) Set your alarms - they'll sell out fast! A seasonal favorite is back! 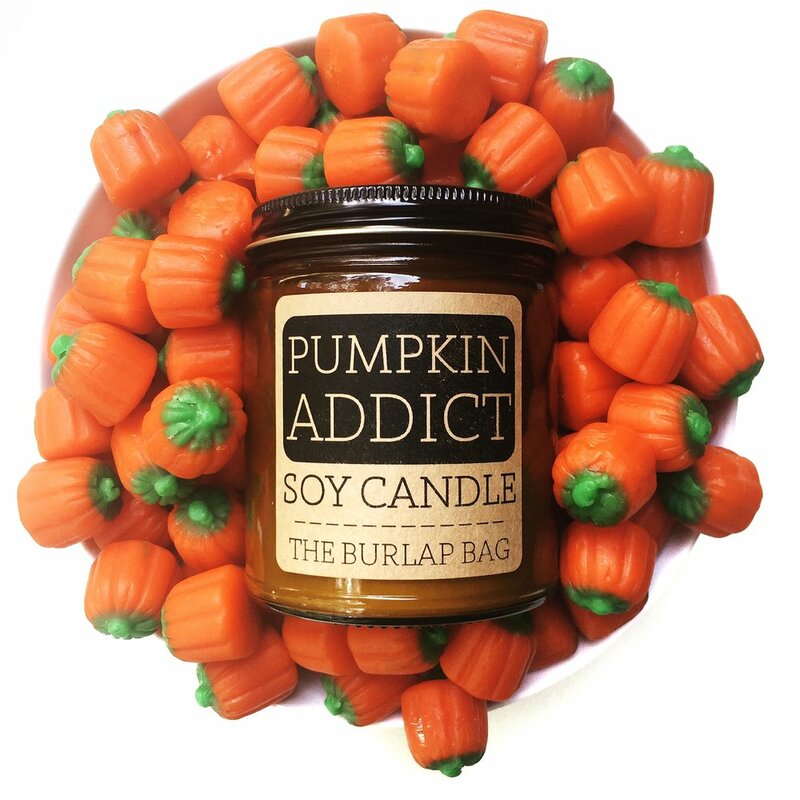 Grab a Pumpkin Addict candle before they're gone! Our Pumpkin Addict candle is only available through the month of November! Grab one now or you'll have to wait a whole year to smell its sweet, spiced pumpkin-y goodness. Gobble Gobble! This scent is a tart cranberry mixed with cinnamon, clove, with notes of mandarin orange. This is available for a limited time - only available until November 30th! Grab it while ya can! Introducing: Our very very limited edition ICE CREAM CONE CANDLES! Cake batter ice cream scented 🍰🍦AND THEY’RE PINK COLORED! (We’ve never done a colored candle before 😱) Once you’ve burned all the candle, use the ceramic cone as a super cute planter, pen holder, or real ice cream vessel (what a concept!). These are available in our online shop in both brown and white cone options. Which color do you prefer?